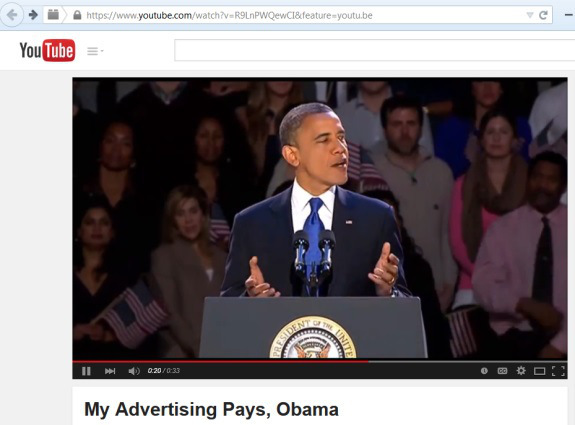 EDITORIAL: In April 2015, the PP Blog reported that a promo on YouTube put words in the mouth of President Obama and depicted him as a pitchman for MyAdvertisingPays, a cross-border scheme with promoters in common with the alleged Zeek Rewards and TelexFree Ponzi- and pyramid schemes. Like many things in network marketing, this was reckless beyond measure. MAPS, as it is known, is reminiscent of the AdSurfDaily Ponzi scheme broken up by the U.S. Secret Service in 2008. ASD, sued by some of its own members amid allegations of racketeering and described by the Secret Service as a “criminal enterprise,” thought it prudent to trade on the name of President George W. Bush to drive dollars to its $119 million scam. After one or more MAPS’ promoters lifted footage of a Presidential address and used technology to put words in Obama’s mouth to help an MLM scheme spread its tentacles, it now has come to pass that MAPS — purportedly led by American Mike Deese of Mississippi via Anguilla, a British overseas territory — says it is pulling out of the United States. In an announcement dated yesterday and titled “THE MOST IMPORTANT UPDATE EVER RELEASED,” MAPS more than hinted it is not wanted in America: “We are going to focus on the place where we are wanted and are making huge strides,” MAPS said. That place is Europe, according to MAPS. If MAPS is right — if it’s not wanted in America and if the U.S. market is steadily declining — we take this as good news that suggests MAPS perceives a serious threat from American law enforcement and class-action lawyers interested in suing under the federal RICO (racketeering) statute. Even so, it’s troubling that MAPS apparently sees a welcome mat for itself in Europe. Like the other “programs,” MAPS now is planting the seed it is lining up people to sue. On a different note, it has come to our attention that there exist multiple internet-based avenues being used for defamatory and libelous speech against MAP. Through our research, we have found many, if not all, of these claims to be without merit and simply an attempt by certain individuals to exploit the MAP name in order to heighten the popularity of their own product. MAP has served demand letters upon those individuals who engage in defamatory and slanderous rhetoric, and in anticipation of litigation, has prepared complaints against all such individuals. MAP would like to emphasize and reassure you that their decision to cease operations in the United States is in no way connected to the aforementioned defamation and libel claims. Wacky that they are alleged using a US attorney for the threats. And I’m pretty sure the one critic they obsess with hasn’t heard peep one. There is another meeting still happening on 0ct 26 in Wrexham UK. Apparently certain venues have called these meetings off after negative reports about the company, according to comments on Behindmlm. Meeting is 20th, my mistake. Whether it goes ahead is anyone’s guess. John: according to comments on Behindmlm. TelexFree (and many others) used hotels. Daniil Shoyfer, earlier of TelexFree and later of MAPS, reportedly used a Marriott. Wonder if MAPS has used ships at sea (or in harbors) yet.